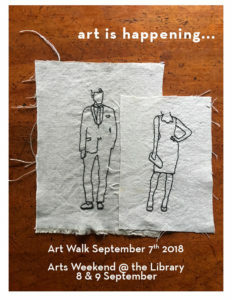 On September 7th, 8th, and 9th, at the Bainbridge Island Library, local artists and art organizations will be sharing arts and information galore. Don’t miss it! 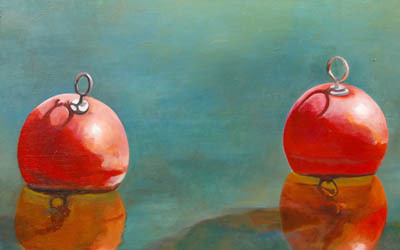 Listen here as artist and library associate Patrick Gulke talks about the art happening planned for the September show at the Bainbridge Island Library. Artist Mary Guterson’s spare embroideries on linen will be among the many pieces featured at the Library this September. The following artists will be featured in the group show for all of the month of September. Don’t miss this exciting extravaganza! Credits: BCB Host: John Fossett; BCB audio editor and publisher: Diane Walker; social media: Jen St. Louis.